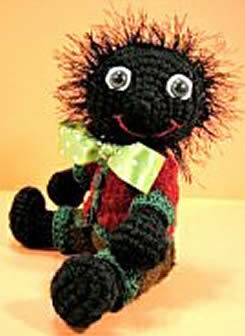 There is no denying Heather Hamilton’s excitement about creating her “huggable” critters. 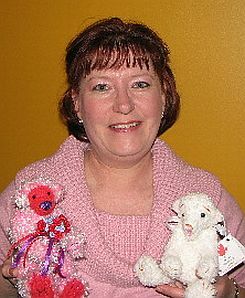 A self described “yarnoholic”, Heather has been using all types and styles of yarn and thread to bring smiles to all those who see her one-of-a-kind creations. Although all her animals are unique and different, they have one thing in common; they make you smile. 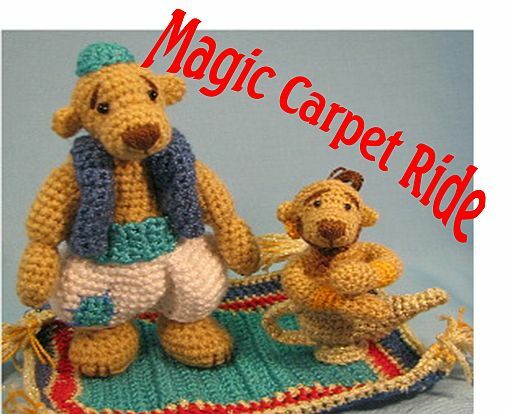 Nestled in Alberta, Canada with her husband of 28 years and their two sons, Heather has turned her passion for crocheting into an art form. Even though she is relatively new to the teddy bear industry, her talents and excitement have created enough buzz to allow Heather to be a “stay at home Mom,” fulfilling her passion for creating. My thoughts were, if you don’t try it … you’ll never know!”, so it was a good decision for me and I’m much more content staying home making my bears,” Heather remarked. 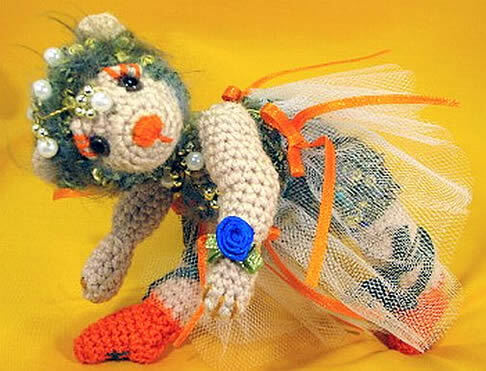 With tools like eBay as her main source of selling, she’s able to sell her creations from the comfort of her home. “One day, when we first got a computer hooked up to the Internet, my hubby showed me eBay and the crochet patterns section. 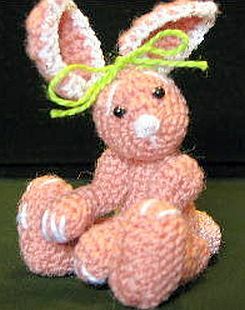 Well, I was “in love.” I never knew there were so many crochet patterns for animals, since the small town of Cold Lake does not have stores carrying these patterns, I purchased loads of them online, and I haven’t looked back.” Heather acknowledges, “I would much rather make an animal, to make someone smile, than an afghan or sweater!” Heather cast her mark in the teddy bear world, feeling like she’s riding on a magic carpet after selling her first teddy bear on eBay in February 2005. 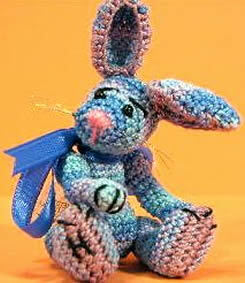 Her mother taught her knit and crochet when she was young. She liked crocheting, but not making doilies, so she took up crocheting sweaters. 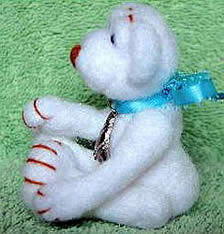 A few years later, Heather began making miniature bears after seeing Berta’s Bears on eBay. 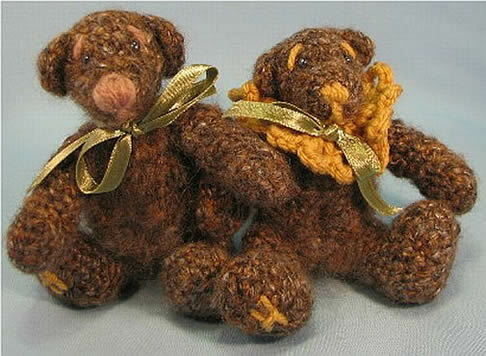 She purchased a magazine with Berta’s crochet bear patterns and began making a few teddy bears for her family and friends. Before she knew it, she was hooked. From there she started trying to make her own patterns and that fuels her creative energy. 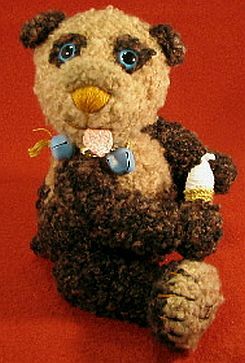 “You really know how to make very different faces, yet still have your “style stamp”, and most of all, a “Heather’s Bear” always makes you smile… and that is a great gift!”, remarked a friend of Heather’s recently on an email bear group forum. 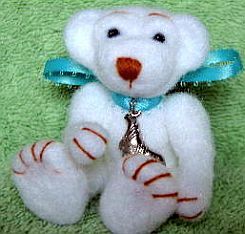 “I am still not sure what my “style stamp” is,” Heather questioned, “but with every bear that I sell or swap, I have always put in my thanks with these words: I hope he/she brings a smile to your face as he/she did mine! (And still does).” With a wide variety of subjects and materials, Heather utilizes an aspect of the bear hobby that she loves the most. “I love that we don’t have to stick with a regulated teddy bear style and we can use our imaginations and think outside the box.” With each unique and spirited face, she certainly does use her imagination and we all get to join her, smiling, in the special world she creates with Heather’s Hugables. 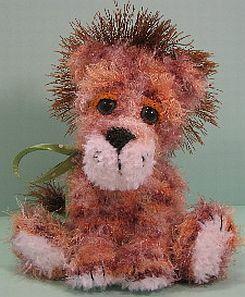 Kneedles~ my 1st Needle Felted Bear!